FLW College Fishing is headed to Table Rock Lake April 9 for the first of three regular-season stops in the Central Conference. 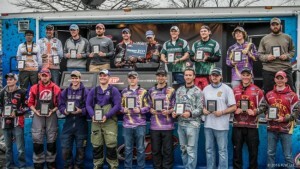 A full field of college teams will be competing for a top award of $2,000 and a berth into the 2017 College Fishing National Championship. Watson expects the winning team to weigh in a five-bass limit nearing 18 pounds. Missouri State University – Alex Macomber, Springfield, Mo., and Cody Hightower, Hartville, Mo. Missouri State University – Brian Bueker, Higginsville, Mo., and Cody Hamacher, Jefferson, Mo. Missouri State University – Grant Gaskill, Sullivan, Mo., and Brandon Duemmel, Jefferson City, Mo. Missouri State University – Kyle Doherty, Chesterfield, Mo., and Nick King, Oakville, Mo. 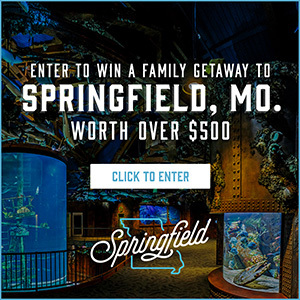 Missouri State University – Quinton Booth and Andrew Guilliams, both of Springfield, Mo. Southeast Missouri State University – Luke Brozovich, Minooka, Ill., and Reid Millburg, Glenarm, Ill.
Bemidji State University – Tyler Robinson, Ham Lake, Minn., and Samuel Moore, Crystal, Minn.
Elizabethtown Community and Technical College – Natalie Reichmuth and Ryan Dowell, both of Brandenburg, Ky.
Iowa State University – Dylan Rague, Carroll, Iowa, and Pat Morrison, Omaha, Neb. McKendree University – Austin Niggli, Highland, Ill., and Brock Wilke, Saint Rose, Ill.
McKendree University – Brad Wyss, Gardener, Ill., and Taylor Schmitt, Belknap, Ill.
McKendree University – Curtis Lilly, Saint Rose, Ill., and Brian McClanahan, Elkville, Ill.
McKendree University – Shane Campbell, Summerfield, Ill., and Phillip Germagliotti, Highland, Ill.
Milwaukee School of Engineering – Nicolas Matschinegg, Chicago, Ill., and Kevin Gross, Wheeling, Ill.
Milwaukee School of Engineering – Shaylan Reardon, Oconomowoc, Wis., and Brooke Scott, Wan Dyne, Wis.
Moraine Valley Community College – Andrew Jensen and John Neubauer, both of Oak Lawn, Ill.
Southern Illinois University – Blake Henry and Kyle Wagner, both of Waterloo, Ill.
Southern Illinois University-Edwardsville – Alex Mosella, Fort Myers, Fla., and Sean Clarkson, Edwardsville, Ill.
Southern Illinois University-Edwardsville – Parker Nesbit, Saint Jacob, Ill., and Colten Hunter, Brownstown, Ill.
University of Kansas – Jake Smith, Benton, Kan., and Kevin Harden, Olathe, Kan.
University of Louisville – Jeffry Endly and Jacob Meadows, both of Carrollton, Ky.
University of Louisville – Joseph Faulconer, Sadieville, Ky., and Corey Skaggs, Louisville, Ky.
University of Nebraska-Omaha – Zach Kroeger and Ben Kroeger, both of Omaha, Neb. University of Wisconsin-Stevens Point – Cody Bergerson, Black River Falls, Wis., and Reed Fredrick, Wisconsin Rapids, Wis.
Winona State University – Wyatt Stout, Sauk City, Wis., and Riley Diske, Winona, Minn.